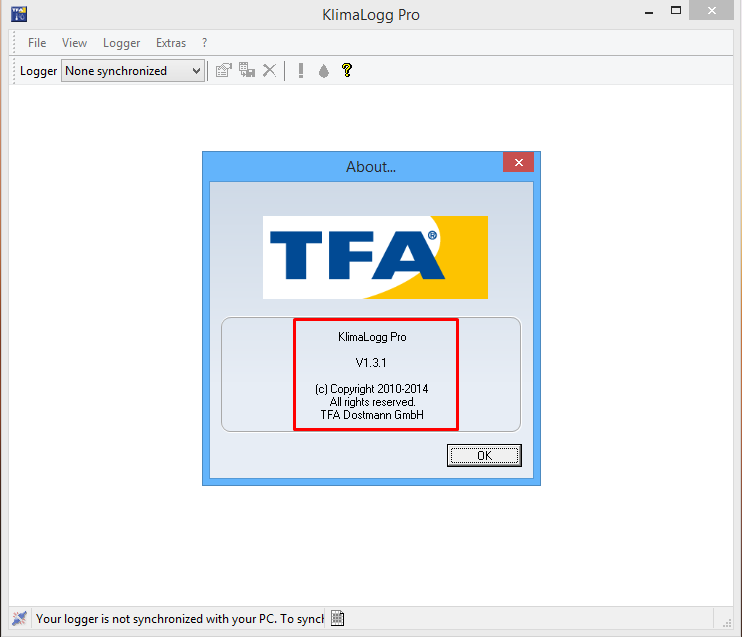 Recently I installed KlimaLogg Pro 1.3.1 on my computer running Windows 64 bit. When I start the installed exe, nothing seems to happen. In the Task Manager I see a process called KlimaloggPro.exe *32. The application is working just fine in a 64bit operating system. I have downloaded version 1.3.1 and I was able to make it work. The only thing I did was to start the installation as Administrator and everything went smoothly in terms of installation and startup. Download the application again and use my recommendation. I tried installing it as Administrator running W10 64 bit. Same problem persists. A process is started but no window is opened. Join Air is not working on Windows 7 64bit.